The name alone gets me all jittery inside. Who doesn't love a good s'more? 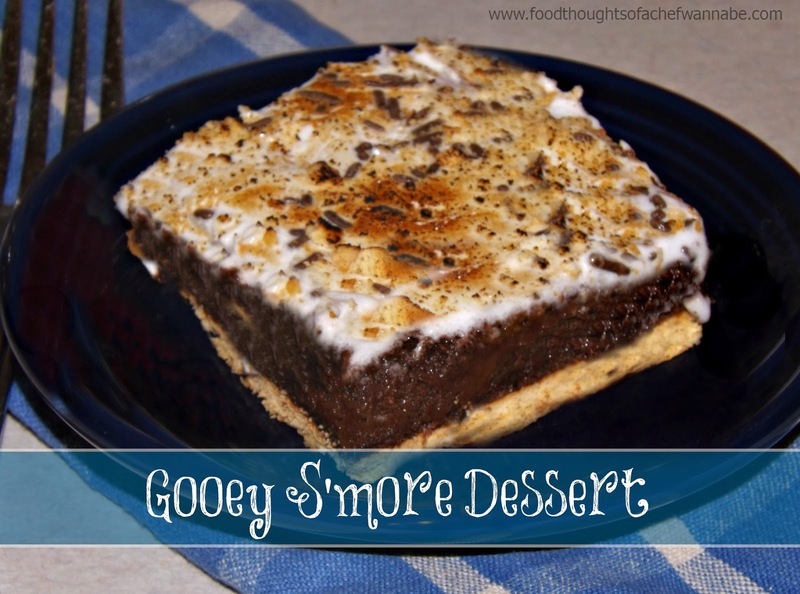 Now you can make it as a dessert, anytime, no need for an open fire, or bugs at your campsite. This is easy, clean, and best of all you won't smell like a fire when you are done! This dessert is the marriage of 3 recipes I wanted to try. Wait, I take that back it was one recipe, but instead of using that recipe, an old newspaper clipping, I tried to reinvent it with old recipes my mom gave me. It turned out well. The brownie will seem, or may seem "not done" in the middle, just let it cool. All will be well. That gooeyness you think might be hiding in the center, IS and it is SUPPOSED to be! Get your oven preheated to 350 degrees F. Spray a 9x13 cake pan with nonstick cooking spray. For the "crust" you will need graham crackers. You can just lay them out on the bottom. If you use the whole graham, it will take 6 full ones and few more. However you do it just lay them so the bottom is covered. Set aside and let's get to the brownies. First, make sure your butter is at room temperature. Cream the butter and sugar together well. Add eggs and continue to beat well. When well combined, add the rest of the ingredients. Beat with a hand mixer or a stand mixer until smooth. Now carefully dollop or sort of pour this over the graham crackers. Don't move the crackers, pour it out all over so you have to spread it very little. Bake for 25-35 minutes, The judgment is yours, the less you keep it in, the more the goo factor goes up, but doe what makes you happy! The eggs will be plenty cooked so in case that worries you don't let it. You can let this go 40 minutes and have a more cake like dessert. When it is done, sit on a cooling rack and let cook while you make the icing. Combine all of the ingredients in the top of a double boiler, or in a bowl that you can use as the top of a double boiler. Make sure it is well mixed. Add an inch of water to a pot and let it come to a boil. Make sure the water doesn't actually touch the bottom of the bowl. Put bowl on top and begin using ah and mixer to beat it for 3-4 minutes. Beat constantly!! When it is done, pour over your brownies and then top with chocolate jimmies or some graham cracker dust or both. After about 15 minutes you can use a brulee torch to toast it up on top! Refrigerate for at least 3 hours before serving! Do not be fooled by the fact that we discuss "cauliflower" on my Facebook page. We do. And when you think of that, or when I think of that it reminds me of a skit, I think from SNL, "The Delicious Dish" where they would discuss, rice and various other boring foods! If you haven't seen it, this will mean nothing, if you have, you know what I me an. Anyway, a reader of Chefwannabe mentioned that one night out of desperation she made this recipe. I believe she used butter instead of olive oil, which I WILL do soon and a packet of Hidden Valley Harvest Dill seasoning mix. Oh, and I almost forgot, I used a fresh head of cauliflower as well, instead of frozen. Ayyyyee carumba!!! Delicious! 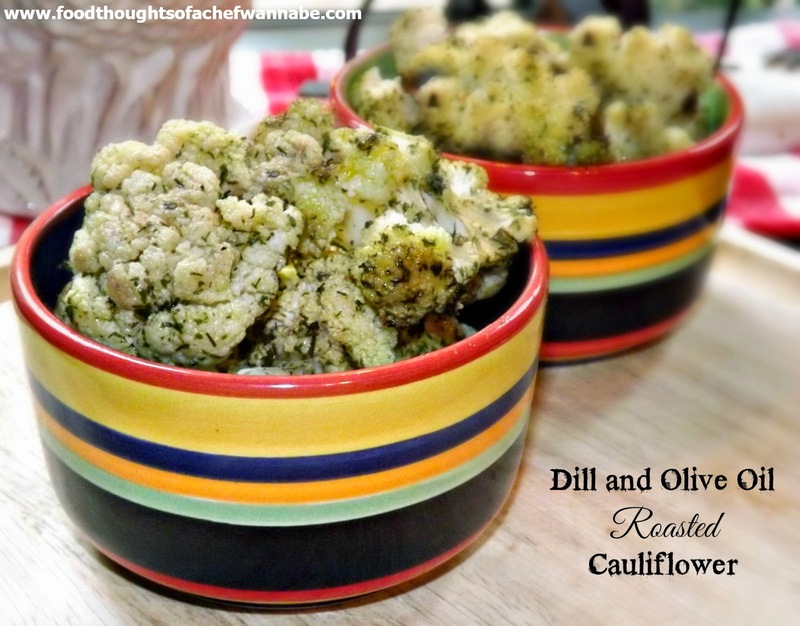 I don't know if I can ever eat cauliflower any other way! This is easy and so packed with flavor. I used a small-medium head of cauliflower but I would guess you could easily still get the same flavor punch from 2 heads, or one very large head. Preheat your oven to 375 degrees. Divide your cauliflower into bite size pieces. In a bowl add in cauliflower, olive oil and seasoning packet. Toss until all cauliflower is coated with seasoning. Dump until a foil or parchment lined baking sheet and bake for 25-35 minutes depending on if you like your cauliflower to still have crunch, or like it soft! 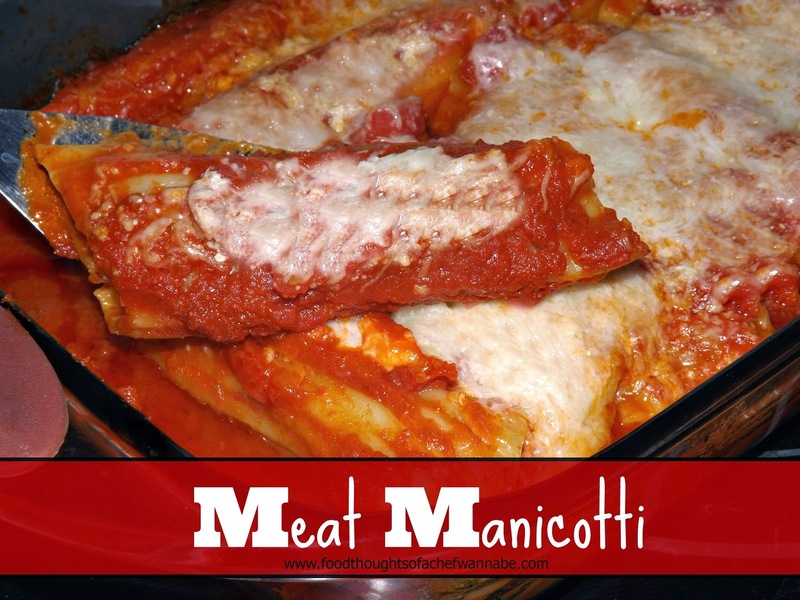 I won't be upset if you sprinkle a little fresh grated parm on this before serving. Just as I was relaxing over the end of salad season, my mom strikes again. We were chatting on the phone and she said, "I am so hungry for frog eye salad". Oh man, it had been years since I thought about the infamous frog eye salad. This salad has been a favorite of my siblings for many years. I was never a huge fruit eater, but pineapple, I do love. I pick out the oranges and the cherries and dig in. Every holiday, EVERY holiday, my mom makes this. 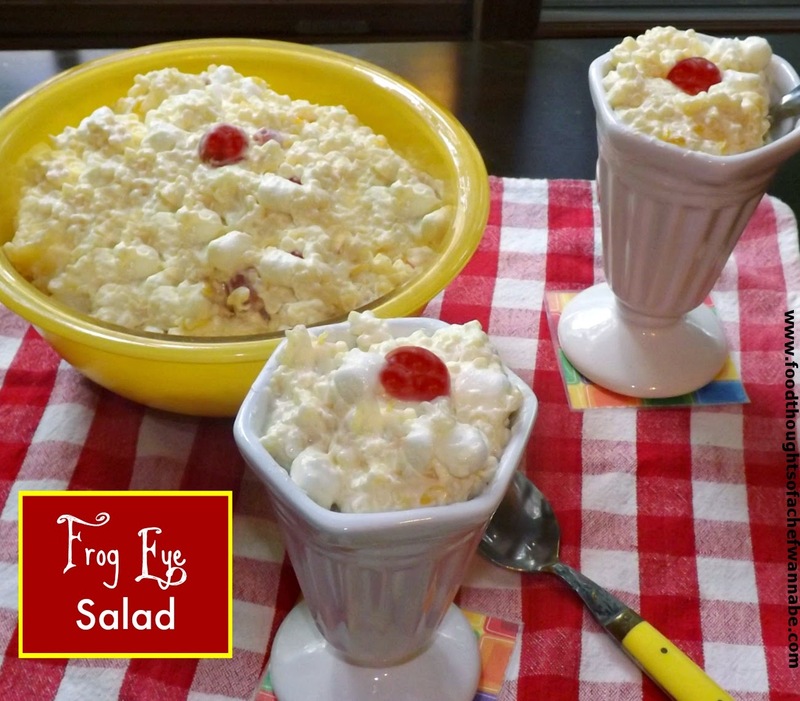 I think frog eye salad, originally is made with a cooked custard, but, my mom always did it this way. I think it is the cheater way to be honest but, who messes with perfection? Nobody with any sense! Anyway, back to my phone conversation, she asked if I had ever posted it here and when I responded I had not she said, "OH you can come home and make it, and I can taste test it, and it will all be for the good of your website". Yea, right ma. 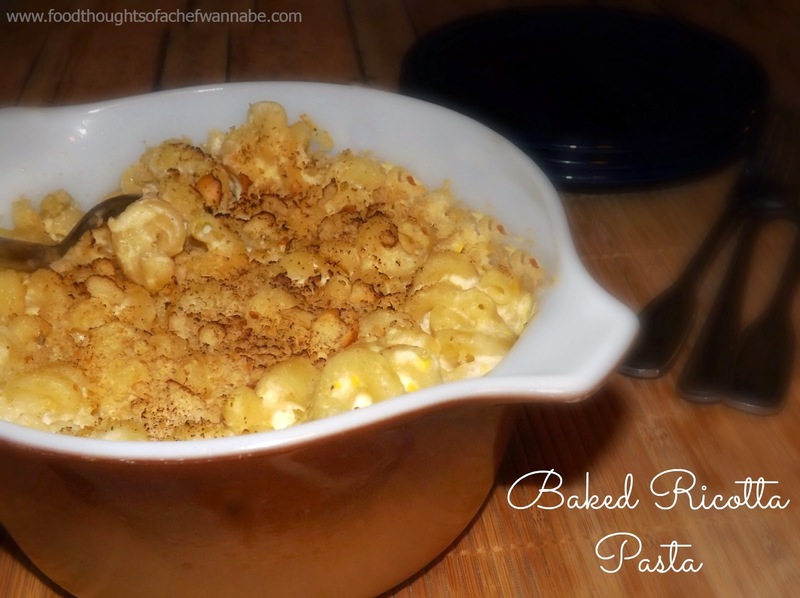 When I ran this recipe by my husband he almost erped. "Pasta in a sweet salad"?!?! He agreed to give it a try but he was skeptical. Now, he didn't actually SAY much, but the degree of devouring that went on over this sort of spoke for itself. You know? Really he loved it and couldn't believe he had never heard of it. So if you love it, have never had it, think it might be ridiculous, OR are brave.... give it a try! Boil your pasta as per the package direction. Drain well, and run some cold water of them. In a very LARGE bowl, combine pudding and cool whip until well combined. Add in oranges and both kinds of pineapple. Make sure to DRAIN the cherries and add those as well. Fold in the pasta and marshmallows and refrigerate for 1 hour. This is a hit with our family as I said, and I am sure it will be a hit with yours too! PS. If you don't prefer to use cool whip, please feel free to sweeten up some fresh heavy cream and substitute. Hello friends! How are your gardens? Anyone have amazing farm markets? Actually any farmers market is amazing, isn't it? I told you I was on a farmer's market kick! If we go to the work to grow all of this produce, we must have great recipes to use them on, right? 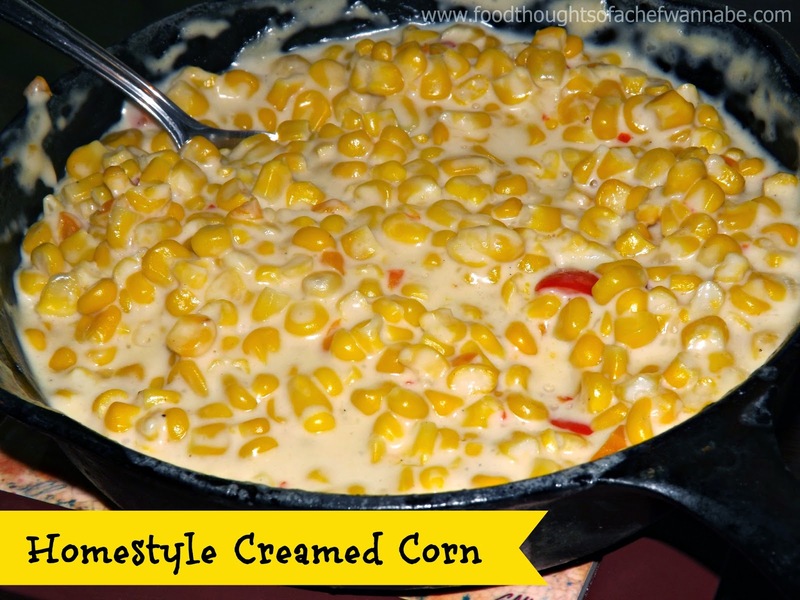 I must admit, (hanging my head) I kind of dig creamed corn in a can. Don't judge. However, I had never tried to make it homemade. Oh for heaven's sake, homemade creamed corn is an entirely different bird people! I don't do fancy and hard, you all know that. I am a real woman with a real family, and I blog, what we eat, we eat what I blog. Plain and simple. I knew if I could make some amazing creamed corn, I would be a rock star. This was so thick, and so delicious and such a huge beginners luck dish! I usually have to test a recipe a few times, to get it just how I want it. I got the "do NOT mess with this one" vibe after eating it the first time. So you are getting this one straight off of my stove! In a cast iron (or any skillet you choose), melt your butter. When it is melted add in your bell pepper and sauté for a couple of minutes. Add in the corn, and stir. Sprinkle in the flour and stir and let it cook for a minute. When the flour is incorporated, add in milk, cream, salt and pepper. Stir to combine. IF you are using fresh corn off the cob, let simmer on LOW, for 15-20 minutes and then let sit, for 10 minutes. If you are using frozen corn that you have thawed out, simmer for 10 minutes and let sit for 10 minutes. It will thicken GORGEOUSLY and the taste is..........perfection. ACK! Even my husband LOVED it! Peppers, peppers, peppers. I seem to have an overabundance. Let me explain why that is an issue. I have a love/hate relationship with peppers. I love them raw. I love the flavor, the crunch, and the freshness of them. However, once they hit the heat, they get soft, maybe even a tiny bit slimy, and I just am in a weird place with them, once that has happened. 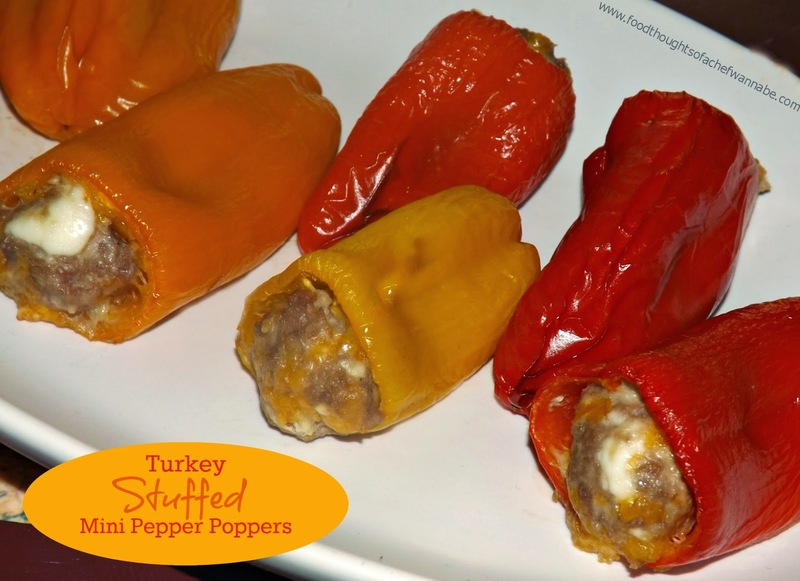 Stuffed peppers, YUM, except I only eat the middle out of the pepper. Now, if they are chopped up, we have a whole new situation. I mean, who is really THAT picky?! Isn't it like being a person who only like corn ON the cob and not off? Ridiculousness. That all being said, and explained, I love these. I had intended to use jalapeno's with these, however, when the little sweet bells presented themselves, I knew for the crowd I was cooking for, they would be the best choice. I wanted a hearty filling, one that could be used for a side dish, a light lunch with a salad, or even an appetizer. A few of them were so small, I admittedly just popped them down the hatch, full throttle. I am positive these would do great on your bbq grill too! Preheat your oven to 375 degrees F. Cut the very tops off of your peppers and using an ice tea spoon or small dessert spoon, clean out the seeds and veins as best you can. Set on a baking sheet. Combine remaining ingredients in a bowl and spoon into a piping bag, or Ziploc bag with the corner snipped off or use the ice tea spoon to get these filled. I used a piping bag, it was so quick, clean and easy. Bake for 25-30 minutes, or until the turkey is cooked all the way through. Let these sit about 5 minutes before eating. You know, I don't recall having chicken and dumpling a lot as a kid. Maybe once or twice only. That sounds almost abusive to me now, since I love it so much. I forgive you mom. 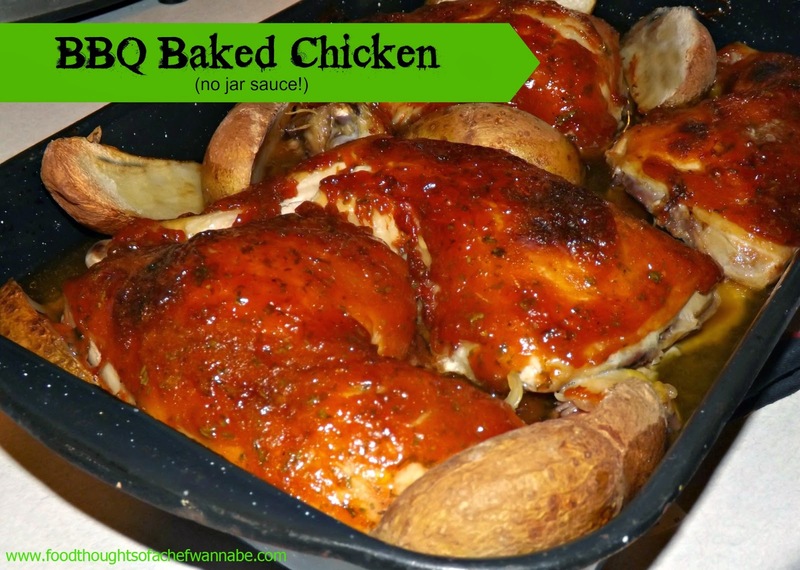 A couple of years ago now I found this easy recipe over at Christy Jordan's Southern Plate, The first time I made it, it was like, I don't know, heaven to strong of a word? We loved it. It was easy, a bit of a shortcut, and honestly the best version I have had yet. So fast forward to a week ago. I decided to try this in the crock pot. I added a few things, here and there, tweaked a couple of things, and got my dumplin' on people! Holy guacamole, delish. Without further adieu let's get on with the slow cooking! I am kind of grasping this slow cooker thing I have fought so hard and long to avoid! This makes a good size batch, I kind of double, or something'd (<----my own language there) the recipe and did a little tweaking this time. 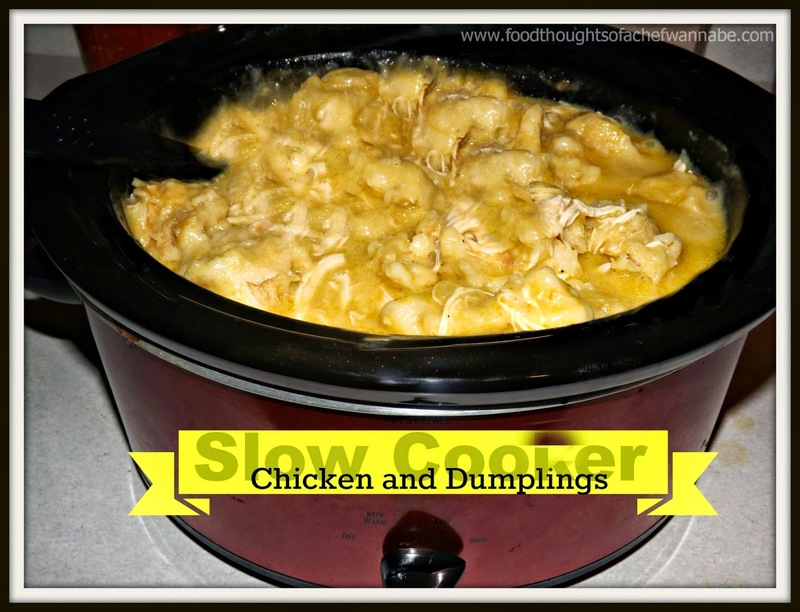 Add together, soup, butter, stock poultry seasoning, pepper, and onion powder into your slow cooker. Whisk until combined. Add in chicken and set on low for 8 hours or high for 4 hours. When there is ONE hour left, take biscuits and you can leave them whole or peel the layers apart, and cut each into 4 pieces. Toss them in and when you are done, push them down into the liquid. Let cook one more hour, stir to break up the dumplings and serve. Note: In a world where my husband loved veggies, I would add 2 chopped carrots and 2 ribs of celery to the soup mixture! Hello, hello, we must KEEP meeting like this! You stop in, I have sweet treats, we chat in the comments below, we discuss, and we do it again a couple of days later! Let's never stop! Speaking of sweet treats. I asked you all on Facebook if you prefer regular cake or cupcakes. You know I have a cupcake addictions so it is obvious what my choice is. I like single servings and I like freezable. I can make a batch of cupcakes, freeze half of them and have something quick for company, etc. 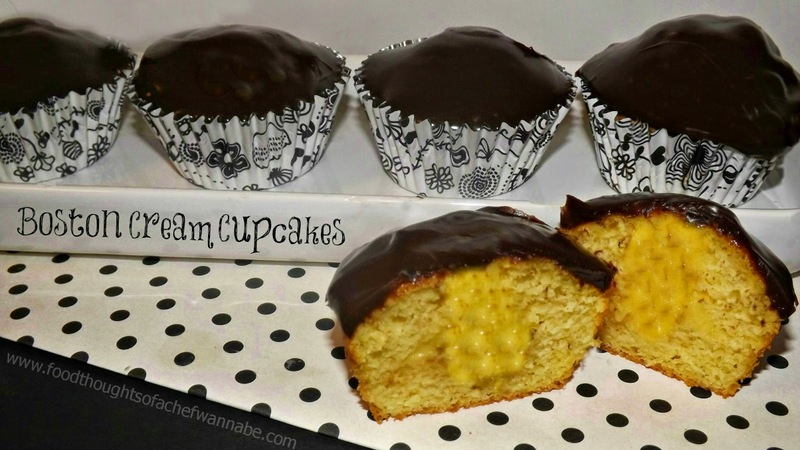 I was telling my husband how I was hungry for Boston Cream Pie and he said, "make Boston Cream CUPCAKES"! He explained how he would do them, and so that is what I did! 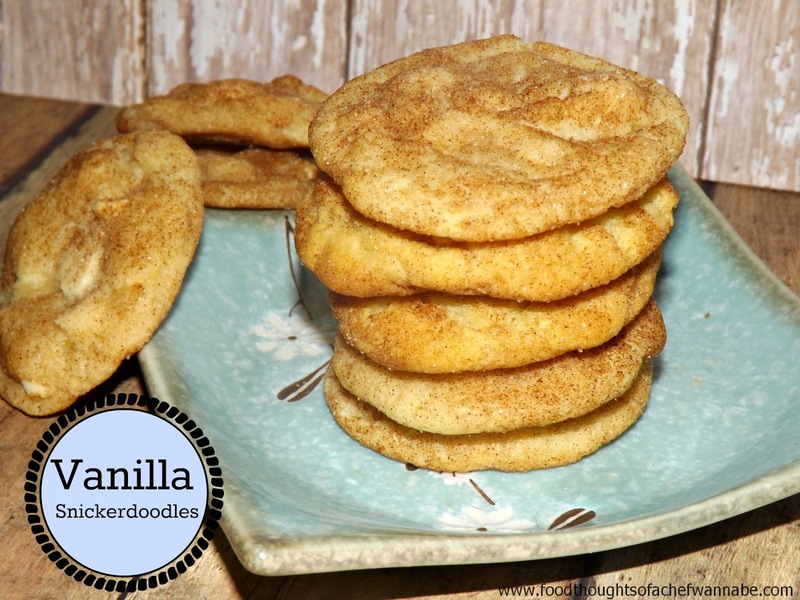 They are so simple but SO good! Thanks honey, you, as per usual, are the BOMB! As my friend Becca would say, " I puffy heart you "! Enjoy these cupcakes as much as we did. Mix up cake mix and preheat oven to whatever temperature the box cake mix suggests. After you have mixed it up, per the box instructions add 2 tsps. vanilla and mix until combined. Line cupcake pan with liners and divide cake batter among them. It always says you will get 24, I get 21, every, single, stinkin, time. When you are done, again, bake at the time suggested. Mine took 20 minutes. Mix up your pudding. Use 1/2 cup less than the package suggests for regular pudding. I like my pudding filling to be a bit stiffer/sturdier then normal. Refrigerate until ready to fill. Using a tip with a piping bag, or a spoon to dig out the middle and fill, get those babies filled with pudding. If you are using a rip and a piping bag, stick the tip almost to the bottom and squeeze slowly until you see it is filled. If you are using a spoon, dig out a big of the middle, fill and replace cake you pulled out! There are fancy tools for this, but I find them completely annoying. Next make your ganache. Bring you heavy cream to barely a simmer, and pour it over your chocolate chips that you have put into a bowl. DO NOT TOUCH IT. Let the hot cream sit on the chocolate for 1 minutes. Whisk until all chocolate is melted, drop in 1 T of butter and stir until melted. Let your ganache sit for 5 minutes. Then spoon over the tops of your cuppycakes! You can let them sit for an hour at room temperature OR chill in the fridge for about 30 minutes.